The whole gang got together to celebrate New Years Eve. The boys had fun playing games on our new 110" screen, table tennis and Bounce Off, a new game Todd got for his birthday. At 10 PM we celebrate the New Year. Grandma brought party hats, party blowers and poppers for each kid. 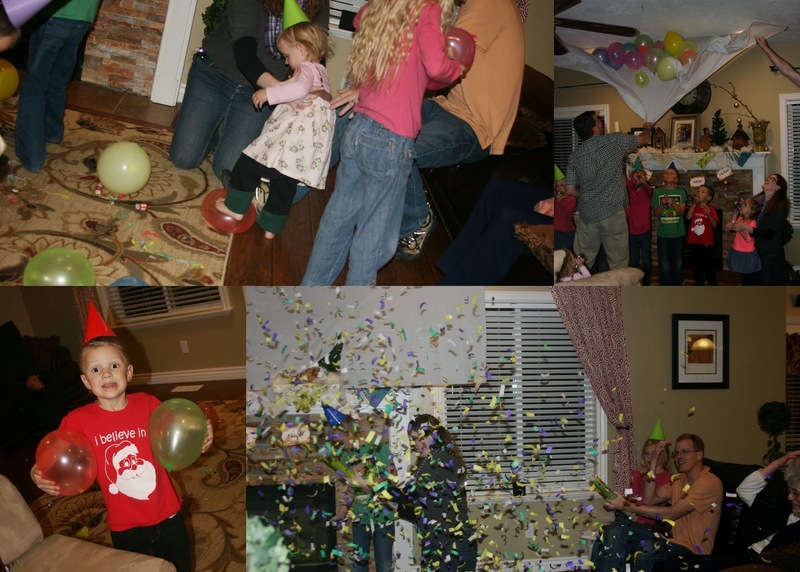 We had a balloon drop and confetti cannons for each of the grand kids. The balloons each had a piece of candy in them. They were a little hard to pop. The kids had to sit on them to exert enough pressure on the balloon, and some times that wasn't enough. In the end, after all balloons were popped and most confetti cannons had been shot we all got busy cleaning up the mess it created. In the middle of all of this, my oldest nephew lost a bolt that attaches to his new camera. I honestly didn't know if we ever going to find it. The couches, people and floor were a mixed of white, blue, yellow and green pieces of paper. Fortunately, we found most of what he had lost between the arm rest and the bottom frame of one of the couches. We figured whatever was still missing was still there but there was no way to reach our hands into such a tight space without pushing it further down. 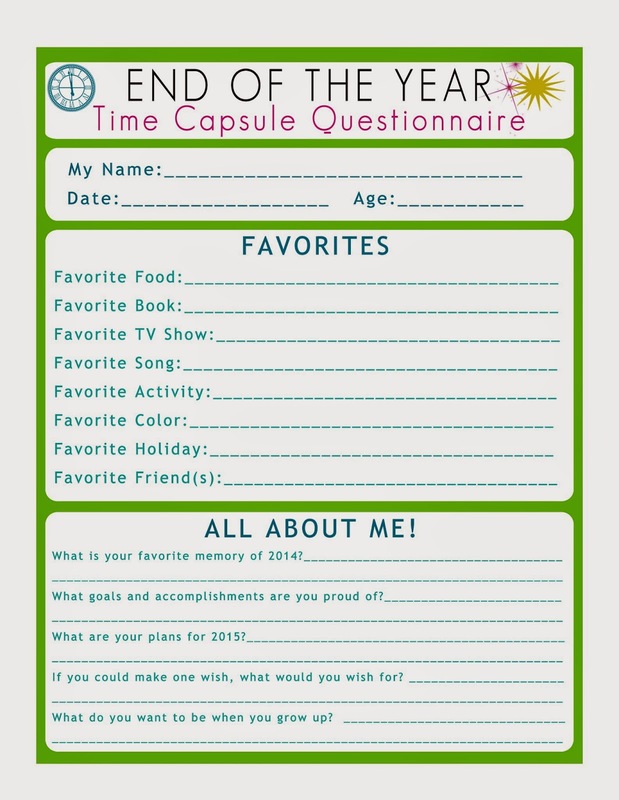 One more thing we are doing to celebrate is and end of year time capsule. 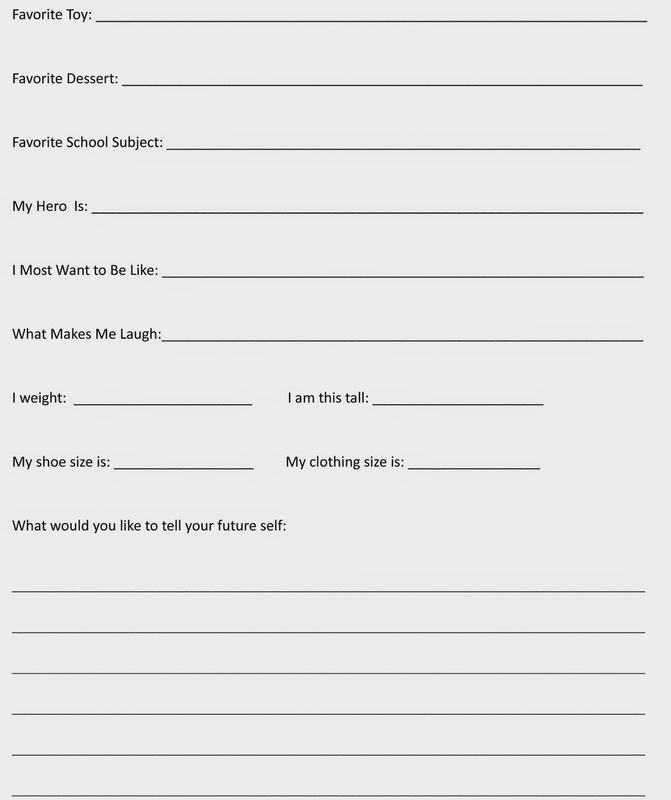 There are two questionnaire, adult and child. Not all questions have to be answered, but it will be fun to read through them whenever we open it again. 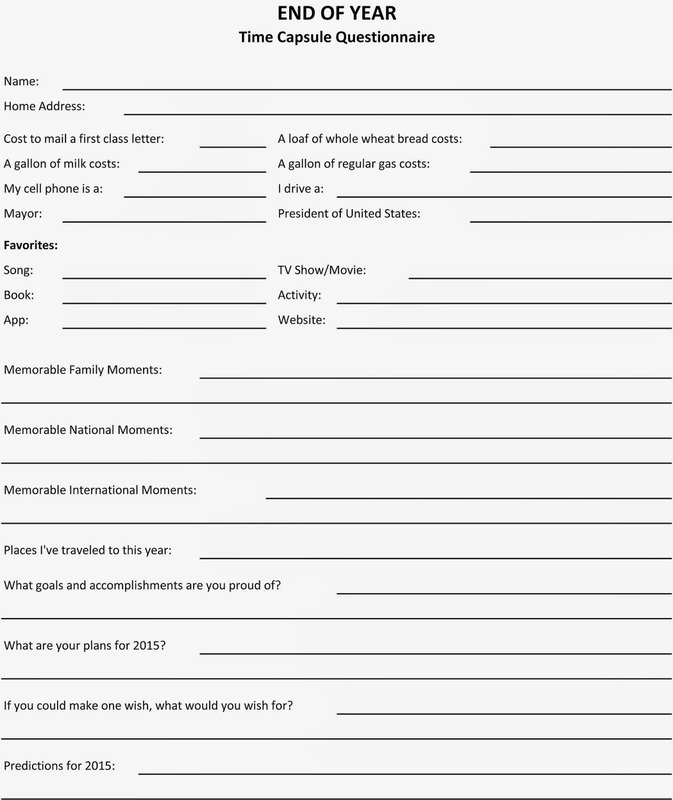 Each family also has the option to add items to the time capsule, nothing bigger than a zip lock bag for each family. On January 11th, we will bring everything together and seal it inside a 4 gallon container.